So, what does all this have to with cooling our world on fire? So, what does all this have to with cooling our world on fire? How does this help us find unity and a sense of connection with others? As discussed, affinity groups are defined not only by who’s in, but by who’s out. In a close-knit community, it’s perhaps even more critical to know who doesn’t belong, than it is to know who does belong. That knowledge protects us from threats. It secures our borders. It reassures us that we can let our guard down around the people near us, because the ones who aren’t safe have been banished to the regions beyond our walled community. Our tendency to look for differences, to compete, and to disqualify is an absolutely integral, protective human inclinations. It’s important. Our society might not exist, if we didn’t have it. But wait – isn’t Othering harmful? Isn’t finding and emphasizing separation and alienation an actual contributor to our collective pain and suffering? Isn’t this diametrically opposed to the ideal goal of Unity and Oneness? Rather than pushing people out and forcing them “off the island”, shouldn’t we be doing the exact opposite: welcoming them in, with all their diversity of abilities and traits, to include them in our unified community? We look for connection, we seek it, we crave it, we have to have it. And yet, separating ourselves from others is the one sure way we have that quality-controls the “social container” we inhabit. Othering (both ourselves and other people) makes it possible for us to feel safe, to feel protected, to know who we’re dealing with and what the rules of engagement are. As harsh as that may sound, it’s really the way our communities function. To feel like we belong, we need to know who doesn’t belong, and we need to keep them out. So the ones allowed in, are in. Human nature. It’s just how we function. But what about the harm that separation is doing to us? You may have heard that Facebook is changing its algorithm to show less public content in your feed. The goal is to get people to engage more with their feed, using the personal connections you have with real-live people, versus paying advertisers. And while I’m not actually on Facebook enough to notice a huge shift in my own life, a number of friends have commented on it. One more instance of Facebook just doing its own thing and messing around with the platform — love it or hate it — that a lot of people have come to depend on for keeping connected to their personal networks. What I find particularly interesting about this move, is that it’s making the digital experience of Facebook more analog. And it’s making it behave more like our own neural networks, which rely on the analog synapses to transmit not only sense information, but also let us do something with/about it. So, what does that mean? Digital? Analog? What’s that about, and who cares? Digital signals are binary on/off — they’re either there, or they’re not. And as data about the sensation of stepping on a tack travels — OW! OW! OW! — along your nerves, until it reaches your synaptic cleft, where it suddenly becomes “analog”, or varied. It’s just just about whether pain is there or not. It’s pain the context of the many, many neurotransmitters and synaptic processes which interact with the pain signals traveling along. Oh, look… a tack — OW! OW! OW! — and then when the pain signal hits the synaptic cleft, you have a slightly different experience, where more of your body is interacting with that data and doing something with it. Glial cells interact with the neurotransmitters. The little packets of dopamine or serotonin or histamine trigger interactions with other “stuff” in our system, and our experience gets “built out” by all that interaction. We feel things other than “just” the pain. It’s not just about whether our tissues are being damaged by a pointy object; it’s about everything that goes along with that. And after the pain gets to the other side of the cleft, the signal continues on as something that “just is”, rather than being something varied or subject to interpretation. Until it hits the next synapse, where it goes analog again. So, very, very roughly, that’s the difference between digital and analog. Shifting people from a digital Pissed Off / Not Pissed Off state, to being more thoughtful, more engaged, having more variation in the “signal” that’s transmitting through the vast network of interconnected Facebook users. It’s a worthy goal, to get people out of the mindless On/Off state of intense arousal. The only problem is… opioids. And how social media gets us addicted to them. It’s not just dopamine that Facebook triggers. Also, the opioids our own bodies produce (called “endogenous opioids”). Facebook’s change may not make sense to a lot of people. It may seem cynical, or it might seem like too little, too little. But in fact, with this shift they’re actually more closely emulating the human neurological system, ostensibly in hopes of mitigating the damage from a predominantly digital experience. We’ll see how that works out. After initial resistance to the idea, I wrapped my head around starting a Beloved Distance Facebook group. It’s open. Feel free to join. I must admit, I have a (bad?) habit of writing books and then setting them loose in the world without supporting them in their physical incarnation. But books aren’t like wood ducklings, which can leap from their nest in the trees and find their way to the nearest water and start growing into full-sized ducks. Books need support. They’re inert — unless they’re enlivened by the people reading them. A book without a reader is a collection of words on paper, a saturation of ink on pulped trees, neatly bound and wrapped in a glossy cover. Without reader involvement, they don’t amount to much, beyond the mind of the writer. …it’s also funny when you talk to someone about a story (you’ve been working on) for months and months, and when they’ve read it, knowing just how important it is to you, all you get back is a “it’s great. Loved it.” Inside me, I’m screaming “what else? what did you take away from it? … etc.” But no, no review… But still, it wasn’t reviews I long for, but human conversations, debate. Beloved Distance is very much like that. It grew out of years of reading, thinking, reading some more, and thinking even more than that. And now that the book’s out, people can get hold of it, read it, react to it, and move on. Like we do with most things. And yet… what else is there? That’s what I’d like to find out in the new Facebook group – from readers, for readers, because of readers. The themes of the book have resonated very strongly with me for years, and the more I think about it, the more I realize I’ve just scratched the surface. And in fact, while I was writing the book, there were so many instances where I realized I just didn’t have the time and the space to say everything that I felt needed to be said about the topic at hand. That time is now, and as I await the final notice from Amazon that the paperback is available there, I consider all the different ideas that, like puppies in a basket, are clamoring over each other to get picked up and taken home. The book is going to mean different things to different people, and that’s the fun part of it. Some people may not care for it at all. Others may find it dramatically changes how they think about stuff that used to barely catch their notice. Others may be intrigued, then move on. But that “travel” from a state of wondering what others think to finding out… well, that’s yet another form of distance I’m looking forward to traveling. On we go… on we go. 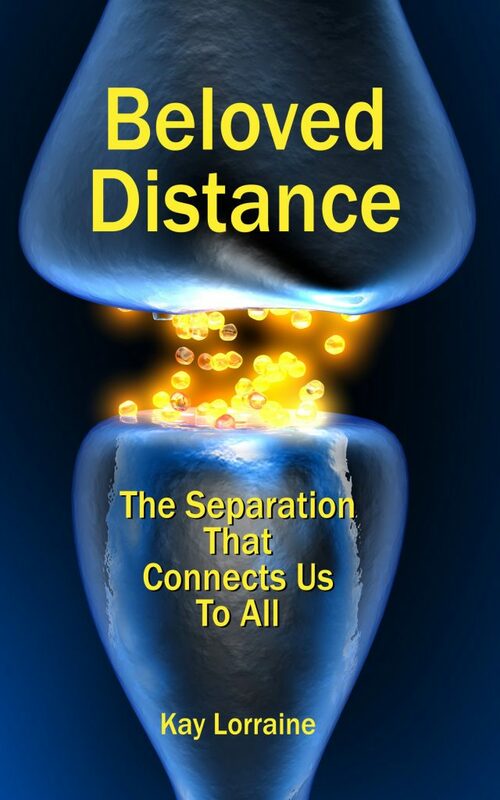 Beloved Distance is now available on Amazon – in Kindle format.